Online registration will close at 12:00 am EDT on Tuesday, June 12th. We will accept walk-up registrations on Wednesday, June 13th. You will need to report to the Howard Schnellenberger Complex located at 2600 S Floyd St. Louisville, KY 40209 at 8:00 am. For University Employee, Team and Military Discount, please contact Ali Moore at Ali@GoCards.com. All camps are open to any and all applicants, limited only by age, grade level and/or gender. 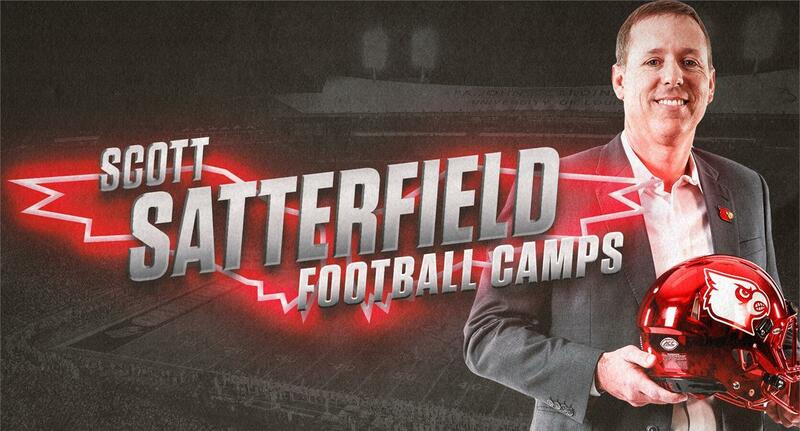 Campers receive 2 days of personal attention and fundamental instructions from the Louisville coaching staff. This is a DAY camp. Campers will need to be dropped off and picked up daily. Lunch will be provided. Campers wear T-shirt, shorts and tennis shoes or cleats.